Do you want to buy a smart security camera but you are put off by the high prices of some of the leading brands? Or do you like the idea of buying a YI camera but you haven’t decided which one is best for you? 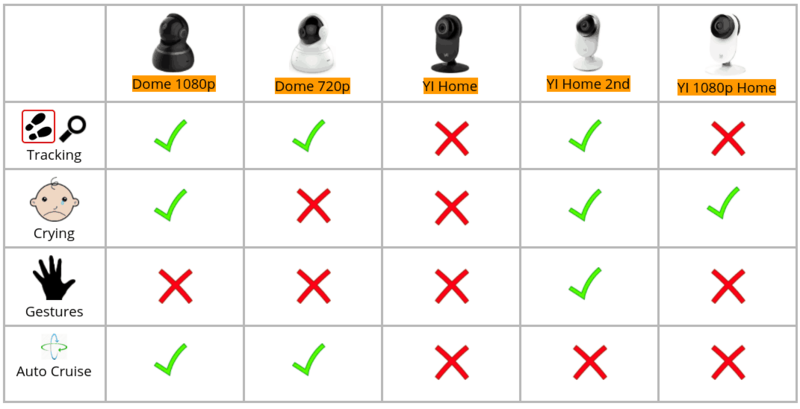 Well, I think that this comparison of 5 YI smart indoor cameras will help. Please click on or tap on the links in order to get to the right place. 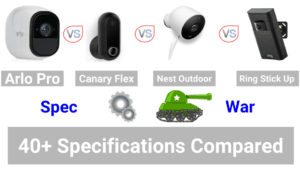 This section shows the most popular features of smart security cameras and if each of the cameras in this comparison has them. It is for those of you who are in a rush and don’t have time to read the full written review below! YI Technology make indoor cameras that shape-wise come in 2 alternatives. Their dome cameras are dome shape- to me they have the look of a robot’s head and shoulders. The Dome and the Dome 1080p can “sit” on a horizontal surface – such as a table, worktop or shelf or they can be mounted on a wall or a ceiling. The YI Home, YI Home 1080p and the YI Home 2 look different. These are stick cameras and are designed to only sit on a horizontal surface. The YI Home is currently the cheapest camera in this selection and it currently costs about $29. The YI Home 2 and the Dome 1080p (black) are the most expensive at $60. The Dome 720p is $35 and the YI Home 1080p costs $50. This is a number (given in degrees) that measures how far from left to right that the camera lens can “see” at any point in time. The Dome cameras are PTZ (Pan, Tilt and Zoom) cameras which means that they have a 360° view. But any point, their field of view is 112°. The 1080p Home also has a field of view of 112° and the YI Home’s is 111°. This measures the quality of any footage recorded by the number of pixels used. The Gold Standard is Full High Definition which is 1080p. The picture is 1920 pixels high by 1080 pixels wide. Lots of smart security cameras can record footage at 1080p, although they do need a reasonably high speed wi-fi and a strong connection to the router. Ultra High Definition (UHD), which is 3840 pixels wide x 2160 pixels high, is one of the next big developments waiting to catch on with security cameras. Three of the YI cameras are 1080p. The original Dome and the original Home camera only shoot footage in 720p. The same three cameras that record in 1080p use 2 megapixel lenses. The two cameras that only shoot in 720p use 1 megapixel lenses. All of the YI security cameras in this selection have basic motion detection as standard. But, there are four other additional types of smart detection that their YI cameras use. But, not every camera uses every one of the four smart detections. This is the ability of a camera to “follow” an object as it moves. This is the ability of the Dome and Dome 1080 cameras to swivel around in a circle for a 360° view. When a camera hears your baby crying a 6 second video clip will be sent to you. The YI Home Camera 2 can be activated using a special hand gesture. A hand gesture will trigger a 10 second clip to be recorded. Motion tracking, cruise and baby crying. This camera has motion tracking and cruise. This camera cannot use any of the smart detection features described above! The YI Home 2 has; motion detection, baby crying and gesture recognition capabilities. This camera is capable of recognising a baby crying. None of these cameras is compatible with Amazon’s voice control system. A really disappointing feature of all of these cameras is that they are not compatible with any other smart home system. In this section I take a look at some of the basic specifications of these cameras. If you would like to read a written description of the comparison chart, please click on the “Read More” link below the chart. I won’t mention this again as I have only just mentioned it. YI Technology are a Chinese company that have offices in in the USA as well. In 2016 Google announced that it was starting to work with YI and in 2017 it launched a virtual reality camera 360° (YI Halo). YI make cameras, including; virtual reality, mirrorless, action, home and dash cameras. The oldest camera in my comparison is the YI Home that was launched in October 2015. The newest camera is the YI Home 2nd, which was released in January 2017. The Dome 720p was launched in July 2016. The Dome 1080p in September 2016. The YI Home 1080p was released in December 2016. The heaviest cameras are the Dome cameras. They weigh the same- at 8 ounces. The YI Home and the YI Home 1080p both weigh 4.8 ounces. The latest YI Home 2 weighs just 4.6 ounces. In section three, I look at the ratings and reviews that each camera has gained. If you would like to read a written description of the chart below please click on the “Read More” link below the chart. Every product sold on Amazon has a rating out of 5. These ratings are given by people who have bought the product. Three of these cameras have a rating of 4.1 out of 5. The YI Home has a rating of 3.9 out of 5 and the YI Home 2 has a rating of 3.6 out of 5. There are two numbers in this category. The number in black shows the total number of written reviews. The number in pink shows the average reviews which are written every month since the products been released. This I think helps to make the comparison much fairer. In first place is the Dome 720p has just over 250 reviews written about it per month. In last place is YI Home 2nd with only 22 reviews being written about it per month. The YI Home 1080p has nearly 170 reviews written per month, the Dome 1080p has nearly 140 reviews written per month and the YI Home has just over 130 reviews written per month. The number in black shows the total number of answered questions. The number in pink shows the average number of questions that are answered each month. In top spot is the YI Home 1080p with 83 questions on average being answered per month. In second place is the Dome 1800p with 70 questions on average being answered per month. In third place is the Dome 720p with 63 questions on average being answered per month. In fourth place is the YI Home with 38 questions on average being answered per month. In last place is the YI Home 2nd with 15 questions on average being answered per month. The percentage of the reviews which are rated as 5 Stars is an important indicator of satisfaction. The higher this percentage the more satisfied buyers are. Thes YI security cameras have disappointing percentages. For the top smart products this percentage tends to be in the 70s or 80s. Both of the Dome cameras come joint top, with 63% of 5 star reviews. Then comes the 1080p Home with 61%. In fourth place is the YI Home with 55% and in last place is Home 2nd with only 40% of 5 Star ratings. The percentage of reviews which are rated as one star is an important indicator of dissatisfaction. The higher this percentage, the more disappointed buyers are. For the top smart products this percentage tends to be 5% or lower. The percentages for these cameras are very high! The Dome 1080p has the best and lowest rating with 11%. The Dome 720p is next with 12%. The Home 1080p comes in third with 13% of all reviews rating it as 1 star. The Home is in fourth place with 17% and in last place is the Home 2 with a huge 20% of 1 star ratings. Fakespot analyses a product’s reviews on sites like Amazon and then gives them a “reliability” grading. This is because not all reviews that are on Amazon are written by people who have genuinely bought a product. Many companies pay people to write fake reviews about products in order to get the product higher up in Amazon’s listings so that their sales are greater. Fakespot uses the same grade system used on old school reports. The higher the grade, the more trustworthy that the reviews are. All of these YI smart cameras have got a top, A grade rating. This means that over 90% of the reviews have been assessed as being genuine. In all of my reviews, I don’t think I have come across one company that has that many products with A grades. In this section, I take a look at the different smart sensors that each camera has. 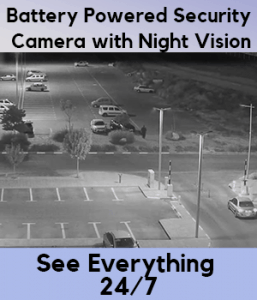 All of the YI cameras in this comparison use infrared for their night vision. Infrared is detected in wavelengths. These are measured in nanometers. The most common range of infrared wavelengths used by security cameras is 850 nanometers. At 850 nanometers an infrared LED gives off a “red glow”, which can be seen by the naked eye. That type of infrared is called “semi covert” because a red glow can be seen. All of the YI cameras in this selection use a 940 nanometer infrared LED. At this wavelength, there is no red glow from an LED. This type of infrared is called “covert” because it is invisible to the naked eye. This is important because YI wants its cameras to be used as video baby monitors. And by using a 940 nanometer LED, it is not intrusive because it is invisible. In all of these cameras, the infrared LEDs are positioned on the outside of the lens. This helps create a more even spread of light in the image. Four of the cameras have 8 LEDs around the lens. The YI Home 2 has 11 LEDs around its lens. The infrared in the Dome cameras has a range of 3 metres in total darkness. The YI Home has a range of 5 metres. The Home 1080p has a range of 9 metres. Surprisingly, I could not find any clear details about the night vision range of the Home 2 camera. All of the cameras have a basic motion detection capability. The sensitivity of these settings can be adjusted. When any of the cameras detect motion a 6 second video is captured. You will receive a “push notification” via the YI app. The Dome 1080p, Dome 720p and the YI Home 2nd have this capability. This is the ability of a YI camera to recognise a baby’s cry, which triggers a notification. The Dome 1080, Home 1080 and Home 2 all have this feature. None of these cameras has a built in siren. This is the ability of a camera to be started by a hand gesture. Only the Home 2 smart security camera has this function. This feature is only available in the two Dome cameras. The cruise function is the ability of the camera lens to swivel 360°, in a full circle. This is a feature of the YI app and not off the camera itself. Whilst in the app you can use the “pinch to zoom” capability of your smartphone or tablet to zoom in on any footage up to 4 times. In this section, I explore some of the video and audio capabilities of each camera. Different cameras use different size of sensors. Generally the larger the sensor, the better the picture quality. The Home 2, Dome 1080 and the Home 1080 all have a larger sensors. They are only about 6.7 mm diagonally across. These sensors all have a 2 megapixels capability. The Dome 720p and YI Home have smaller sensors that are only 4.5mm diagonally across, with a capability of only 1 megapixel. 2 way audio allows for a conversation to take place between a person who is next to the camera and another person who is linked to the camera via the YI app. All of the cameras in this comparison allow for 2 way audio. Four of the cameras have intercom and hands free capabilities for their two way audio. The only camera that does not have the intercom and hands free capabilities is the YI Home. Live stream is the ability of a user to connect to the camera via the app and watch what is happening now. All of the YI cameras in my comparison can do this. All of these cameras can record continuously, but this feature needs to be unlocked by purchasing the correct storage option- more on those later. The standard settings in all of these cameras is that they are only triggered by motion, baby cry or hand gesture. Other than that, the cameras are not recording and they are on “standby”. In section 6, I move on to compare some of the main power and storage features of these YI cameras. None of these cameras are powered by batteries. Instead all of these cameras are powered via USB leads and ac adaptors. one end of the USB lead plugs into the camera the other end plugs into the AC adaptor which in turn, plugs into the outlet. YI has two different paid plans for storage. Each plan then has three different levels. Plan 1 is for people that want to store the short motion detection clips. This is the standard setting in all of the cameras. if you want the clips to be stored for seven days you will pay $66 annually.. If you want the clips to be stored for 15 days you will pay $99 annually. if you want the clips stored for 30 days you will pay $149 annually. These prices are valid for up to 5 cameras. Plan 2 Is for people that want the cameras recording constantly- 24 hours a day 7 days a week. And the prices are per camera! If you want the footage to be stored for seven days you will pay $66 annually.. If you want the footage to be stored for 15 days you will pay $99 annually. If you want the footage stored for 30 days you will pay $199 annually. A fantastic feature of these YI cameras is that cloud storage is not the only option. Each of these cameras is compatible with micro SD cards. Although it varies depending on the camera, the cameras in this comparison are compatible with micro SD cards with a capacity between 4GB and 64GB. A 4GB card can store approximately 8 hours of footage recorded in 1080p. The same card can store approximately 24 hours of footage recorded at 720p. You can buy one one Amazon for about $10. A 32GB micro SD card can store up to 64 hours of footage recorded in 1080p. The same card can store approximately 212 hours of footage recorded at 720p. You can also buy one one Amazon for about $10. A 64GB micro SD card can store up to 130 hours of footage recorded in 1080p. The same card can store approximately 400 hours of footage recorded at 720p. You can buy one one Amazon for about $20. The Dome cameras are compatible with micro SD cards that are between 4GB and 32GB in size. The YI Home and YI Home 1080p are compatible with micro SD cards that are between 8GB and 32GB in size. And finally, the YI Home 2 is compatible with micro SD cards that are between 8GB and 64GB in size. None of these cameras are compatible with external USB storage. Section 7 focuses on different types of connections. All of these YI smart cameras connect to your home wi-fi router. They connect to routers that run at a 2.4 Ghz speed and not routers that run at 5 Ghz speeds. They are compatible with bands g, b or n and they can use WPA or WPA2 methods to connect. None of these cameras need a smart hub to connect to. None of these cameras use Ethernet cables as a means of connection. None of these cameras use Bluetooth to connect. When footage is transferred between one of these YI cameras and a cloud storage account, the level of encryption is “professional grade”. I don’t know if that means it is 128 Bit or higher. In this section, I look at some of the features relating to design and warranty. The Dome 1080 is available in black or white. The black edition seems to be $2 more expensive than the white edition. The Dome 720p is only available in white. The YI Home comes in black or white. None of the smart cameras in this comparison are weatherproof because they are all designed for indoor use only. These are “stick” shaped cameras and are designed to only sit on a horizontal surface such as a table , worktop or shelf. All of these cameras are easy to install and set up. They come with detailed paper based user guides and there are videos to help as well. All of these YI Dome cameras come with a 30 day money back guarantee and a 1 year limited warranty. Section 9 is all about home automation or smart home systems. I think that one area of real weakness with all of these cameras is that that are not compatible with any other smart home system. This is a serious drawback because I think that it is an essential feature of any smart device. 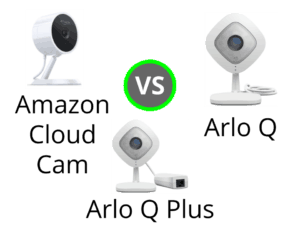 Not only do these cameras not work with established systems such as Wink or SmartThings, but they do not even work with Amazon Alexa or Google Home. YI Technology haven’t even got an official channel on IFTTT. Section 10 concentrates on remote access. Remote Access is the ability of a smart device to be controlled without physically having to touch it. All of these cameras use the same app for remote access. The name of the free app that you can download and use with these cameras changes depending on whether you are using it on an iOS or Android device. In the App Store the name of the app is “YI Home Lite”. In the Play Store, the name of the app is “YI Home”. To use the app on an Apple device, your device must be capable of running iOS 7 or later. To use the app on an Android phone or tablet, your device must be capable of running Android 4 (Ice Cream Sandwich) or later. Like many smart devices, there are no apps to make these cameras work on Windows 8 or Windows 10 mobile. YI Technology provides a free app that you can download and use on a Windows desktop or laptop. Your machine needs to be running Windows XP or later. YI Technology provides a free app that you can download and use on an Apple Mac or Macbook. Your machine needs to be running OS X 10.11 or later. I am not sure if these devices can be controlled and managed from a traditional web browser such as Firefox, Microsoft Edge, Google Chrome or Safari. In the final section, I look at all the bits and pieces that come in the box, when you buy the device. All of these cameras come with a detailed user guide. None of these cameras come with any tools to help with installation. Realistically, it is only the two Dome cameras that can be mounted on the wall or the ceiling that you would need to use tools for the installation. The two Dome cameras come with two screws each. These screws are to fix the mounting bracket to the wall or ceiling. Nne of the other three cameras come with any screws or other fixings. All of these cameras come with a power cable. Each cable comes in two parts. An AC adapter that plugs into the wall. None of the cameras in my comparison use batteries. The Dome cameras each come with a mounting bracket that can be used if you want to install the camera on a wall or a ceiling.